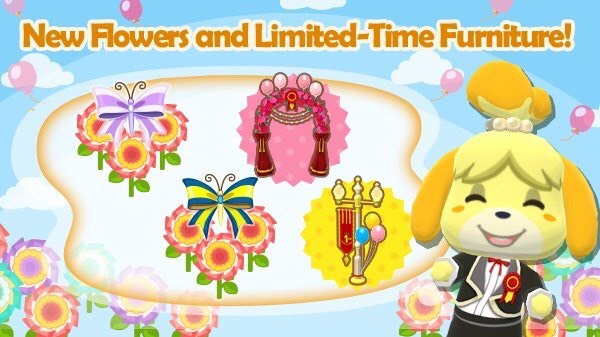 Get your gardening gloves ready, as the second part of Isabelle’s Party-Prep Project has begun in Animal Crossing: Pocket Camp (Free), bringing with it a new flower, two new creatures to catch, and several new items to earn. The first part of the event continues, so if you didn’t have time to finish up with the Blue and Purple Rosette seeds and the related rewards. There are two levels in this second part, the normal tasks and the “hard" tasks that reward you duplicate items in a new colour. Red Rosette flowers have been added to the mix; you can find them by trading with animals or trade for them with Lloyd. The one colour of flower can attract two types of Flutterbows, Lovely and Grand. Obtain Potted Red Rosettes by trading with Lloyd. Obtain the Pink First-Anniversary Arch by collecting 45 Lovely Flutterbows. Obtain the Orange First-Anniversary Arch by collecting 80 Lovely Flutterbows. Obtain the Savoury Party Tray by collecting one Lovely Flutterbow, six Lovely Flutterbows, and/or 10 Grand Flutterbows. Obtain the Gold First-Anniversary Lamp by collecting 16 Lovely Flutterbows, 40 Grand Flutterbows, and/or 50 Grand Flutterbows. Obtain the Silver First-Anniversary Lamp by collecting 55 Lovely Flutterbows, 60 Grand Flutterbows, and/or 90 Grand Flutterbows. Along the way, you’ll be rewarded with other items, including duplicates of the Standing Floral Display from the first part of the event, and continue collecting First-Anniversary Candles to work towards event goals. This gardening event ends at 1:00 a.m. EST on November 12. 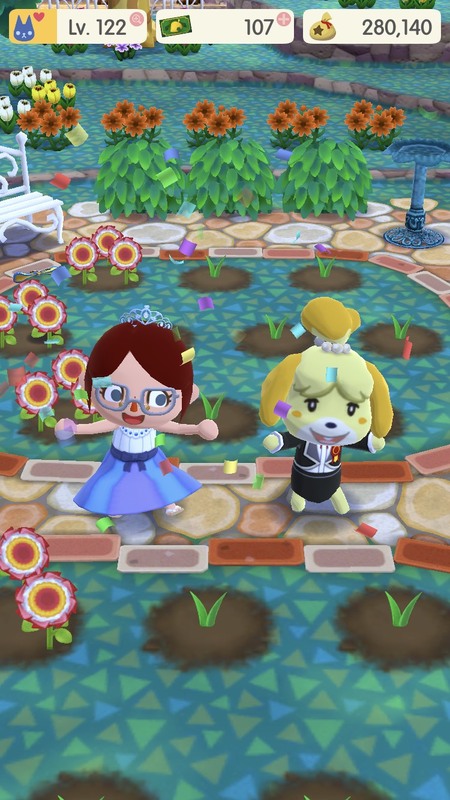 Since this is Isabelle’s Party-Prep Project, that means there must be most coming for Animal Crossing: Pocket Camp‘s first anniversary, right? The minute the gardening event concludes, the anniversary scavenger hunt will begin and run until November 21. Following that, expect an anniversary fishing tourney. The entire time, you’ll continue collecting First Anniversary Candles to earn event-specific rewards (and, with any luck, lots of Leaf Tickets).